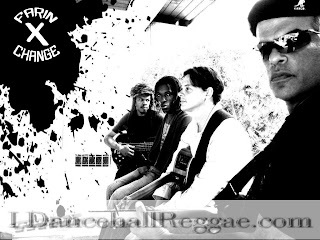 Caribbean Lifestyle Media-The newly renovated Hard Rock Cafe in Ochio Rios, Jamaica will host one of Reggae's emerging bands, Farin X Change on February 12Th, 2010. The band is slated to debut their self-titled album in the land of Eight Rivers to a pre-show VIP reception. Renaissance Disco will carry the festivities into the night, this will be free to the public, gates open at 8:30pm. The group recorded their ten track debut album, Farin X Change, in 2008 when they realized they had composed a sizable amount of original material and wanted to share their message with audiences beyond their immediate locale. The album was originally scheduled to be released in 2009, but was pushed back to 2010 as they worked to get the mix and the mastering just right. Farin X Change is available now on the Dream River Productions label in digital stores worldwide. The CD version is available in stores island wide. Farin X Change is led by Richard "Richie" Sinclair (lead guitar, vocals, songwriter) and K. "Junior" Lamey (lead vocals, drums). Sinclair has a long history in reggae music- as a member of the 1980's Jamaican reggae rock band Native (along with Wayne "Native Wayne" Jobson) he toured extensively in the Caribbean, North America, Europe and Japan. Native also released a number of albums to critical acclaim via the band's deal with Arista/Ariola Records. Even before this, however, Sinclair had formed his first band at age thirteen with fellow Knox College student Handel Tucker, whose later success as a musician and producer is well known through his work with stars such as Maxi Priest, Diana King and Sly & Robbie. Describing Farin X Change as a "spiritual restoration", Sinclair is focused on the message behind the music as much as on the music itself, which he describes as "eclectic and avant-garde conscious reggae". The band sings about interpersonal relationships, social and economic issues, international current affairs, romance, personal quests and introspection. Farin X Change is now based at the idyllic Dream River Studios, nestled in the green hills just outside the town of Port Maria in St. Mary, Jamaica. Much like the band itself, Dream River also possesses a respectable reggae pedigree- it was originally owned by Bob Marley and used as his country studio and retreat.